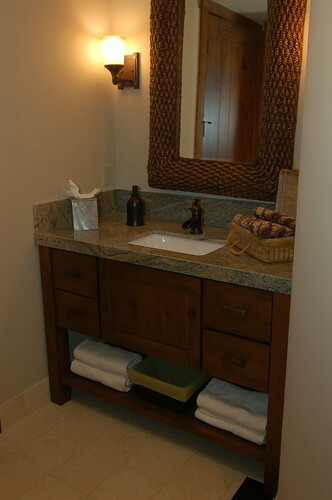 On this project, we used modular cabinets by Bridgewood, along with Bridgewood-supplied posts and trim pieces to creat custom vanities. Five of the six bathrooms received these pieces which were installed after the floor tile. 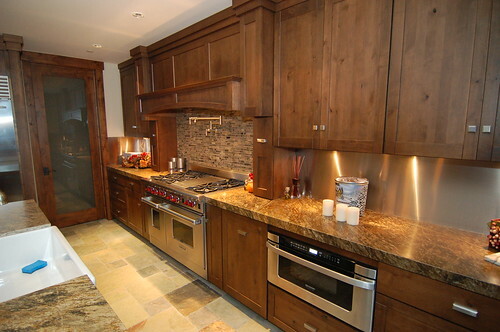 Custom Design Woodworks, Inc. is an authorized dealer of Bridgewood Cabinets. More information can be obtained at: www.bridgewoodcabinets.com.